Cleveland State Community College is committed to excellence and The Center of Dynamic Instruction is a central part of providing ongoing leadership and support for innovations in teaching, learning and student engagement. The center provides facilities, training and assistance for teaching with Instructional classroom technology, integrating high impact pedagogical practices, course design, hybrid and online teaching and so much more. Professional development is important, and it is that the forefront of what the center does. We offer a wide array of just in time learning solutions, Faculty and Staff Learning communities and other regular training opportunities. The Center of Dynamic Instruction leads an energetic exploration of innovative, creative, and collaborative approaches to teaching and learning and supports faculty as champions of learning as they boost student success in extraordinary ways. Ashley has been at Cleveland State since 2005. In that time he has been a trainer, a teacher, an LMS administrator, an instructional designer, and an instructional technologist. Supporting faculty with various technologies as well as teaching pedagogies is always at the forefront of his mind. Ashley holds a Masters Degree in instructional Technology from the University of TN. 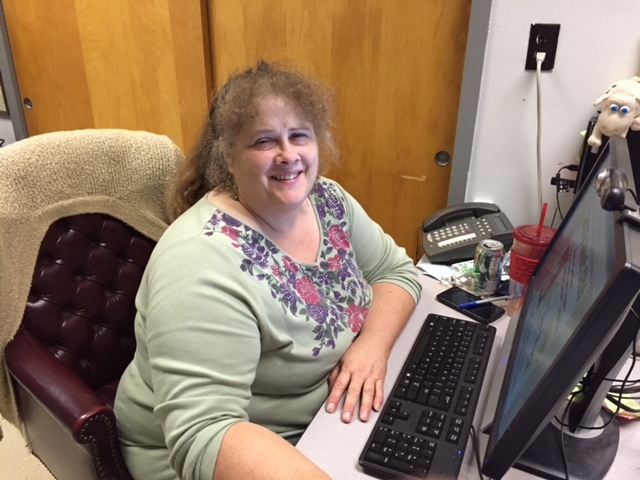 Elizabeth, better known as Betsy, has been with CSCC as Part-time Temporary Distance Learning Lab Monitor since January 2008. She keeps track of the rooms on the lower floor of the Library Building and tries to provide equipment assistance to the room users when needed. She also helps out in the Media Center with the slides that show on the Announcement TV’s around campus, and converts and duplicates videos for classes as needed. Betsy holds several AAS degrees in varying fields and a Bachelors Degree in Organizational Management. 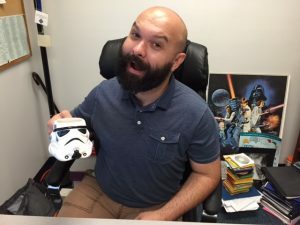 Nathan has been with Cleveland State since 2013, initially joining CSCC as Instructional Redesign Specialist through the Title III grant and now serving as Instructional Technology Specialist in the Center for Dynamic Instruction. During his time at CSCC, he has assisted faculty in course design, provided numerous trainings and professional development opportunities, taught multiple courses, supervised the Supplemental Instruction program, and has been involved in numerous instructional videos. Nathan is the “go-to” guy for all of your questions and assistance requests regarding myCS courses. Nathan holds two masters degrees: M.A. in Clinical Mental Health Counseling from the University of Alabama and M.S. in Research Psychology from the University of Tennessee at Chattanooga. The Dynamic Learning Lab is located in L-118 and is a modern classroom space that allows you to create a learner centered experience for your students. The room can be moved into many different configuration with rolling chairs and workstations. There is also an emphasis on tactile technology, and multiple moveable whiteboards to allow for multiple learning styles. This Space offers instructors the ability to connect to other CLSCC sites and beyond. Using Zoom, a synchronous audio/video conferencing system, we can transmit down the street, or across the globe. The space allows simple control of moving cameras and allows instructors and students to see the participants on the other end seamlessly. 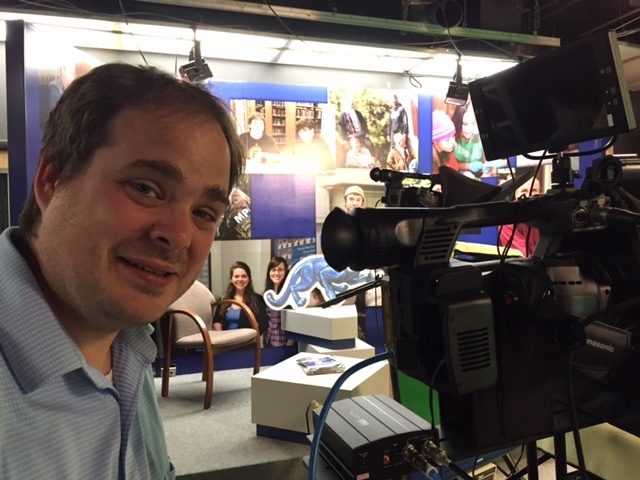 Te Media Center is a fully functioning video production studio. This space is equipped with multiple cameras, studio sets, as well as as key wall. The center also has an audio studio perfect for recording video screen captures, podcasts or other audio projects you may need for your classes. 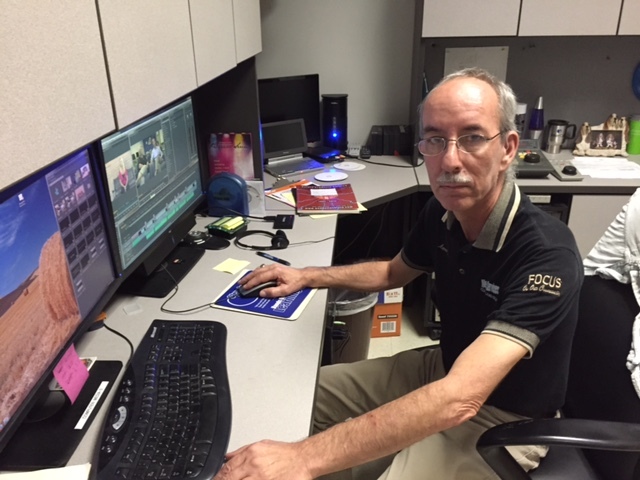 The center’s staff are knowledgeable about different media and are ready to assist with your multimedia needs.